Windows Home Server Vail: Goodbye Drive Extender? If you use Windows Home Server, you might be a big fan of Drive Extender -- which is somewhat like a software-based Drobo. Is your hard drive drive filling up? 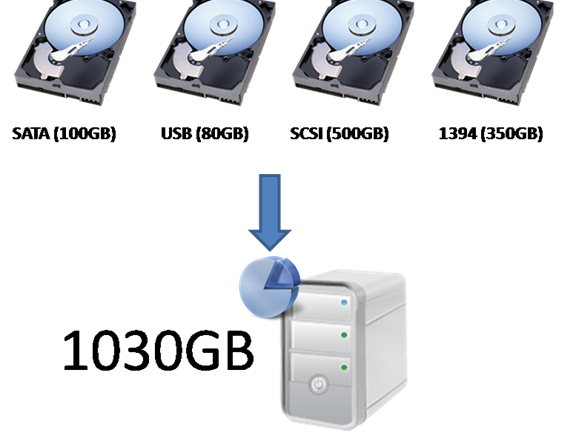 Pop in another drive of any size or type, and it instantly gets assimilated into one giant drive on the Windows Home Server. If you use Windows Home Server, you might be a big fan of Drive Extender — which is somewhat like a software-based Drobo. Is your hard drive drive filling up? Pop in another drive of any size or type, and it instantly gets assimilated into one giant drive on the Windows Home Server. Now for the potential problem: Some folks are speculating that the new Windows Home Server “Vail” will be dump the Drive Extender feature — much to users’ chagrin. Here’s the update. A tip goes to Engadget for bringing this to our attention. The report says Windows Home Server users are borderline livid about the lack of Drive Extender in Vail, though the article admits the software wasn’t perfect and occasionally caused data corruption. Even so, comments across the web show users adored Drive Extender and even longtime Windows evangelist Paul Thurrott expressed disappointment about Drive Extender fading away. However, Thurrott said the technology jettison was part of Microsoft’s strategy to position Windows Home Server into the SMB sector, where hardware traditionally takes the place of software solutions like Drive Extender, and Drive Extender actually caused more problems than it solved for professionals using Home Server for hard server loads. Still, I wonder why Microsoft didn’t just leave the feature in there but drop support of it. What’s more, reports show that Microsoft erroneously responded to feedback that they deemed negative. But wait, there’s a silver lining. Electronista.com says Microsoft CEO Steve Ballmer is looking into the Drive Extender debate due to the blast of negative feedback. Electronista thinks Ballmer’s note is legit and to be taken seriously, since it came on Thanksgiving… But I’ve got to wonder: Would Microsoft’s top executive really get pulled into a debate about such a niche feature on a niche product? Andy: Please let The VAR Guy (and his readers…) know how the beta goes.